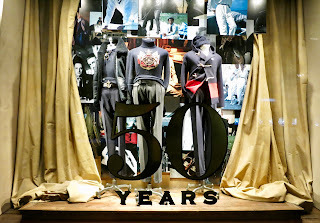 Celebrating their 50th Anniversary show right now is Ralph Lauren along Bond street. 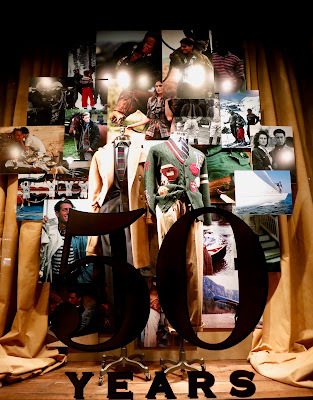 Can you believe this brand is 50 already? 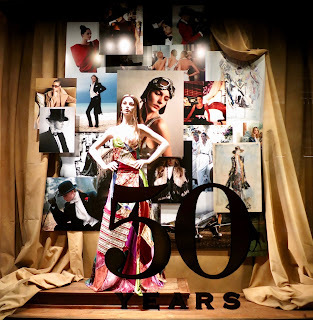 The windows, filled to the brim (well almost) form the backdrop to their latest celebratory scheme and do check out their website as the video on the main page is quite stunning.